If you’ve created a newsletter design that you want to email to large number of users, you might want to send it out with MailChimp – a professional email marketing service. While you can send your newsletter directly to your readers from Apple Mail, most email providers won’t allow you to send emails to hundreds or thousands of readers at a time. That’s where MailChimp comes in. This service can send emails to large numbers of newsletter subscribers at a time. MailChimp offers free accounts to get you started, with paid accounts available for users with larger numbers of subscribers. Mail Designer 365 can store your API key in your keychain, so you should only need to set this up once. 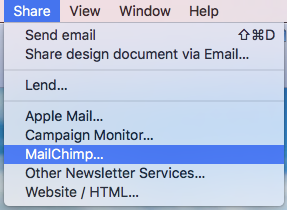 In order to add new templates to your MailChimp account, Mail Designer 365 needs your MailChimp account API key. 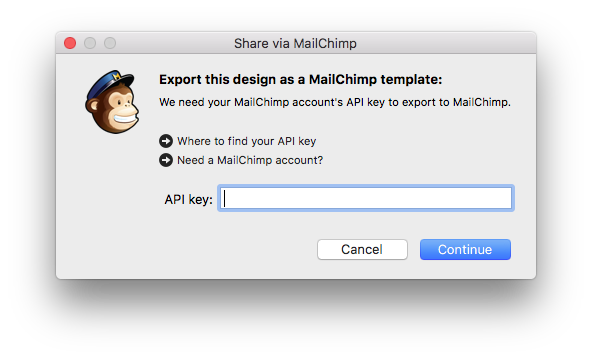 The API key will allow Mail Designer to upload templates on your behalf.